Truck beds are a blessing when it comes to moving heavy furniture, equipment, and other large items. However, since most of the truck beds are only about 5 feet in length, it becomes dangerous to move things that are over 5 feet. If you have such items in the back of the truck, you will be more worried about their goodwill than the drive, which is not a good thing. This can have disastrous consequences in the form of accidents, injuries, and damage to the goods. The problem with this solution lies in getting a truck bed extender. There are many on the market but choosing the best truck bed extender should be your priority, and we will help you with that. 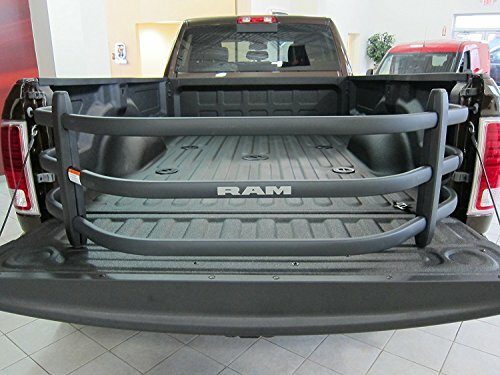 What Is A Truck Bed Extender? 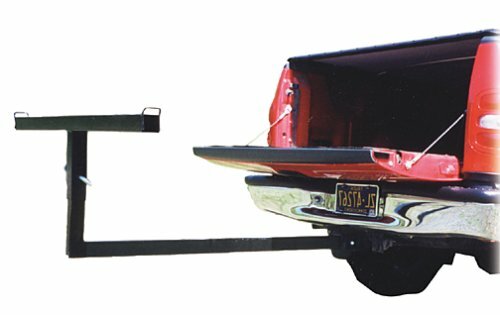 How To Use A Truck Bed Extender? A truck bed extender serves as an extension to your truck bed by increasing the length capacity by two to four feet. This makes it easy to transport heavy and long goods in your pickup truck. Darby 944 is compatible with almost all SUVs that have a class III insertion hitch. This truck bed extender can help carry loads both in the bed and above the roof of the truck since you can set it to various heights. Carrying Options: While most bed extenders offer to keep goods in the bed area, this one lets you store goods above the truck roof by adjusting the vertical height of the extender. It can reach 55” – 62.5” above the hitch. Load Capacity: It can bear loads up to 350 pounds, and has a 4-inch wide support. This makes it one of the best truck bed extenders for kayaks. Other than that, you can also store and move a canoe, lumber, racks, pipes, and ladders. Storage: This truck bed extender comes with a red flag and can be stored behind the seat when you’re not using it. Rust Resistant: The body of the extender is made up of strong coated steel which is rust resistant. So, you don’t have to worry about using it in the rain. The extender provides good safety and security for the goods you’re carrying whether in the bed or above the roof. It can be easily stored behind the seat when not in use. The extender can reach back up to 53” from the hitch in bed level position. It is not suited to carry massive loads, i.e: above 350 pounds. This Amp bed extender is perfect for people who want to move bulky cargo, bikes, ATVs, motorcycles, etc. Besides adding two feet of cargo space in the bed area, you can also flip it over and place smaller tools inside to prevent them from moving. Extremely Durable: The tubing of the body is coated with high-grade aluminum that offers amazing sturdiness. It is also good to be used in extremely hot weather and rain because it is corrosion and scratch resistant as well. Twin Functionality: You can either flip the V-shaped extender outward to extend it two feet beyond the tailgate or flip it over to serve as a small tools/loads holder and restrict movement. Carrying Ability: The structure of the extender comprises of three 6063 T6 aluminum horizontal bars that are designed to keep the cargo in place. There’s minimum space between the rods so that smaller items do not slip away from the cracks in between. We like its versatility and compatibility as it serves as an excellent Ford F150 bed extender and Toyota Tacoma bed extender. Other than that, it works with many other brands as well including GMC, Dodge, Chevy etc. The extender comes with a 3-year warranty. Thanks to the glass nylon upright pieces and lightweight aluminum, the extender is quite lightweight which makes it easier to use. You have to drill the extender above the tailgate and the instructions that come with it are a bit vague so you might have a hard time installing it on your own. Lund 601021 Hitch extender is a multi-use extender that can help you carry cargo in many ways. Being a hitch extender which is compatible with all 2” hitches, it supports many brands such as Ford F150, Toyota Tacoma, Nissan etc. Load Capacity: This is one juggernaut of a truck bed extender as it can bear load up to 750 pounds easily. This also serves well for carrying a kayak. In fact, you can also carry two kayaks at the same time with this one. Length Adjustments: Lund 601021 is an adjustable extender, both length, and width wise. You can extend the length from 38” to 68” to accommodate cargo that requires more length. Other than that, the width is also adjustable using the side wings from 27” to 49”. This allows you to carry wider cargo such as planks. Red Flag: It comes with a red flag so that cars behind you can know that you’re carrying extended weight. It’s an important feature for road safety. Ground Clearance: The patented steel wall offers ground clearance of 7” and also functions as a spring and offers flexibility when transporting heavy load. The fact that it comes with a year warranty gives peace of mind that if something unfortunate were to happen to the extender, the company has your back. There’s no height support, and you can’t move the extender vertically up. Therefore, you can’t carry a heavy load above the truck’s roof. If you are in search of a truck bed extender that’s lightweight and offers enough room to carry loads, then Erickson 07605 is a good choice. It can extend up to 4 feet beyond the tailgate. Load Capacity: According to the specifications, the dimension of this extender is 52″ x 50″ x 25.5″. It is not as sturdy as the previous few options, and can only withstand weight under 350 pounds. Versatile: You can transport various goods including lumbers, plywood, drywall, canoes, fishing boats, paddle boards, ladders, etc. However, make sure that the weight doesn’t exceed 350 pounds. Adjustments: The extender extends up to 4 feet beyond the tailgate. That’s not all; the height is also adjustable. The width between the loops is 48”. High Mount Option: What makes this one of the best truck bed extenders on the list is the fact that it comes with a high mount option. It lets you carry loads on the truck’s roof easily. All you need to do is invert the extender when sliding into the receiver. Durable: The extender is manufactured with durable steel that doesn’t fall prey to rust. Hence, expect this extender to work for years like a pro. The fact that you can carry cargo either in the bed or on the roof with the high mount option gives more convenience. It doesn’t come with a red flag and 350 pound is the maximum weight capacity it can bear. Another Amp bed extender on the list because it speaks for quality and functions like a pro. It’s quite similar to Amp 74802 but with an added benefit that it fits Nissan models too. Apart from being a Nissan frontier bed extender, it fits many other brands as well such as Chevy, Toyota T100, Toyota Pickup, GMC and Toyota Tacoma, Tundra, Mitsubishi Raider, and Isuzu Hombre. You can easily transport bikes, ATVs, and motorcycles with this extender. Slant Design: The design of this model is slightly different than the Amp 74802. It’s a slight slant design to offer a bit of more room to place goods. The design is such that if offers good safety and you can rest assured that any cargo, bike or tools, that you keep will stay in its place. Easy To Use: The extender is lightweight and doesn’t require a lot of effort to flip over or outward. 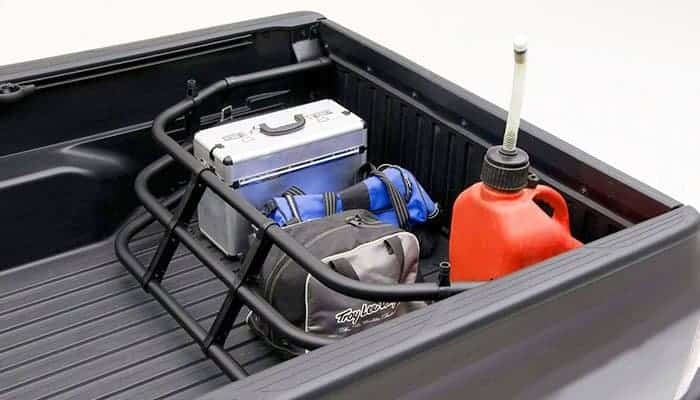 Use It As An Extender Or A Cargo Holder: This Amp bed extender serves both as an extender to carry extended loads beyond the tailgate for up to two feet, as well as a cargo holder to place several small tools and items on the tailgate when you flip it over. Sturdy: The extender contains strong aluminum tubes that are resistant to rust and are also very durable to impact, thus making the entire structure solid and safe. We like that it comes with a 3-year warranty despite being so durable. Other than that, the kind of safety this extender provides is hard to find in other truck bed extenders. It needs to be drilled into the tailgate which takes a lot of time and is a bit daunting as well. Dodge Ram is one of the sturdiest extenders you will find on the market as it is made up of an excellent quality of aluminum and coated with a black or a silver finish. Works With A Bed Cover: This truck bed extender doesn’t cause any trouble or difficulty if you use it with a tonneau cover or truck bed mat. There’s no rise in the bed area, and no space is compromised. Flips Back And Forth: You can place a bike or other heavy goods easily after flipping the extender outward. Other than that, you can also take it in use with smaller items and tools by flipping it inward on to the tailgate. Safety: One of the safest extenders on the list because it works on straps that are tied to the tailgate latches. We liked how strong it is. Plus, it can also handle impacts without any difficulty. Another feature worth noting is the straps providing extra safety. Only suitable for late Ram models. This Amp bed extender fits all Ford F 150 models from 2014 to 2018. Many customers have labeled it as the best Ford f150 bed extender on the market. It has a different shape than the other two Amp models discussed earlier. This one has a U-shape which offers more room, and the added benefit is that you can also add a tonneau cover with this extender. Extra Security: This model offers extra security. It has two hold-down straps to secure the extender when the tailgate is lowered. Flexible: The upright nylon rods that keep the horizontal rods in place are lightweight and flexible, offering more room to place your cargo. Other than that, flipping the extender is also very easy. Strong Material: Wear and tear are common on extenders due to which many get rusted and scratched. This is not the case with Amp bed extender because its aluminum body is both scratch and rust resistant. We liked the two straps that hold the extender and offer more safety to the load. Other than that, there’s a 3-year warranty by the company as well. This extender fits all short bed pickup trucks as well. If you’re looking for a truck bed exterior that is meant for carrying a kayak, then look no further, MaxxHaul can do it. 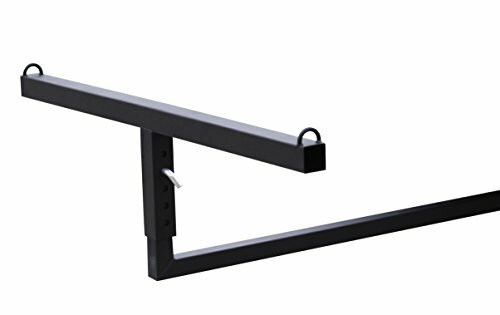 This truck bed extender is manufactured to carry heavy goods such as canoes, pipes, lumber, racks, ladders, and kayaks. It fits on all 2-inch hitch receivers easily. 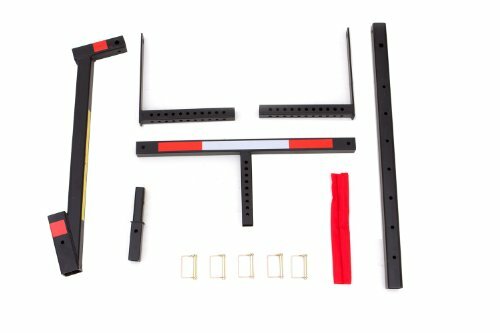 Instant Assemble/Disassemble: It comes with 4 clevis pins that let you assemble and disassemble the extender easily. Safety: There is a red and white reflective tape on the extender to alert the drivers that are behind when you’re extending the heavy load. Adjustments: Both the width and the length of the extender can be adjusted. The width can be extended from 8-¼” to 48-¾” and the length from 53-½” to 60-½”. Load Capacity: Easily bears 350 pounds of weight. The reflective strips and the durable finish on the extender are quite amazing. The strips indicate the drivers behind you that you are carrying the heavy and extended load so that they can keep their distance. Plus, the coat on the extender also doesn’t damage easily. It can’t bear more weight than 350 pounds, which can be a drawback for some users. There are several kinds of truck bed extenders on the market, each offering a slightly different purpose. There are best truck bed extender for kayaks, best truck bed extender for bikes and so on. Therefore, you need to choose the extender wisely as per your requirement. Standard Extender: These have a cage-like shape and offer protection to the goods from falling out. 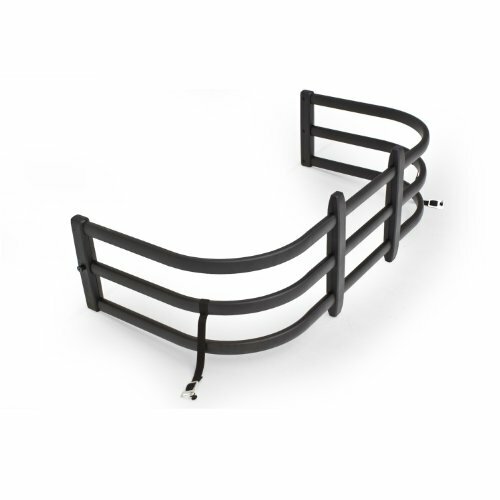 Standard extenders extend just a few inches and let you use the space on the tailgate as they act as a fence. They are foldable and can be set into the truck bed when not in use. They are the most common type of truck bed extenders on the market. Hitched Mounted Extender: These can be used in carrying a kayak, canoe, racks, lumber, pipes, and ladders as they have a different design than standard truck bed extenders. These are long bars that are attached to the trailer’s hitch and extend outward to give extra space beyond the tailgate. The shape of this extender is a ‘T’ shape, which is ideal for payloads. It should be noted that hitched mounted extenders aren’t ideal to carry loads other than pipes, lumber, ladders, etc., due to the kind of shape they have. Slide Out Extenders: If you are looking for an extender that can be hidden in the truck bed area then slide out extenders can help you out. 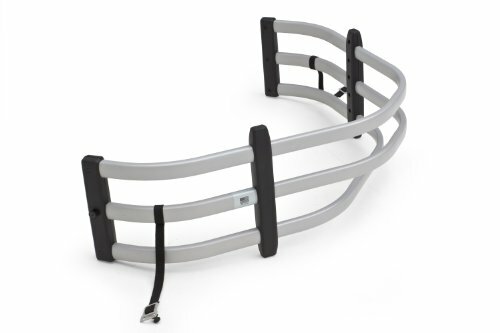 These are integrated into the bed area and can be extended out beyond the tailgate. While it is good to store smaller items and tools, the biggest downside of these is that they raise the deck and make it impossible to store huge goods. So, we don’t recommend these unless you just want to carry smaller goods. Truck Compatibility: Most truck bed extenders don’t offer universal functionality but some claim to do so. They come in various shapes, sizes, designs, and functionality which is why you need to be careful when picking one for your truck. You will need to check out the size of the extender and match it with the space in your truck’s bed area. Choose one that can easily fit into the available space if it’s a standard extender. In case of hitched mounted extenders, check out how much weight they can carry, how further can they extend, is their size aligned with the size of the bed area of the truck or not? Because if it’s wide, it can clash with things on the road. 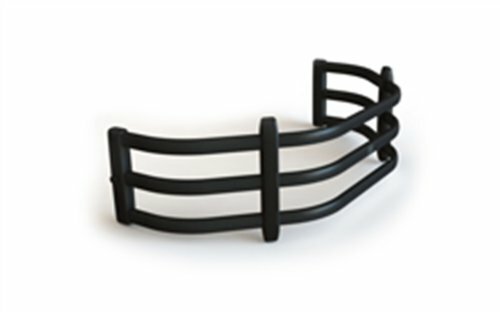 Material: Truck bed extenders come in different materials including plastic and metals. Metal extenders are recommended for heavy objects. Otherwise, plastic ones can do alright. Storage: The purpose of a truck bed extender is to provide extra space which is why you must consider the storage an extender is offering. Some can extend up to two feet while some to about four feet. Calculate how much extra space you need to store goods and buy accordingly. Extra Space: The main benefit of a truck bed extender is that it adds to the total space in your truck bed area. If hauling heavy goods, groceries, boxed cargo, wood pieces, equipment, machines, etc., is your daily routine but the area of your truck bed comes short of space then getting a truck bed extender is your best bet. You can increase both the length and volume of the bed area by installing a truck bed extender and can place more items than usual. 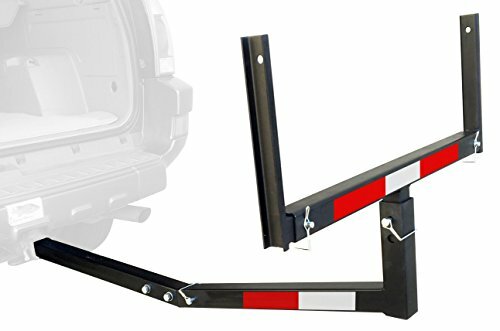 Safety: A truck bed extender serves as a fence and provides support to the goods that are being carried. This way, none of the goods would drop and go missing or sustain damage. When you leave your destination, the items will be exactly where you placed them. Less Number Of Trips: It’s obvious that if you’re moving heavy and huge stuff in your truck then a traditional bed area, which is nearly about 5 feet in length, will come short. This leaves you with no choice but to leave some items back and carry them on the next trip. Thus, more trips for you, which means a waste of time, money, and energy. Since truck bed extenders increase the space in the bed area, you can accommodate more stuff easily. This will reduce the number of trips that you take and help save fuel as well. Easy To Install: The process of installing a truck bed extender is very easy. All you need to do is hook them to the edges and screw them, attach the rods and enclose the brackets. 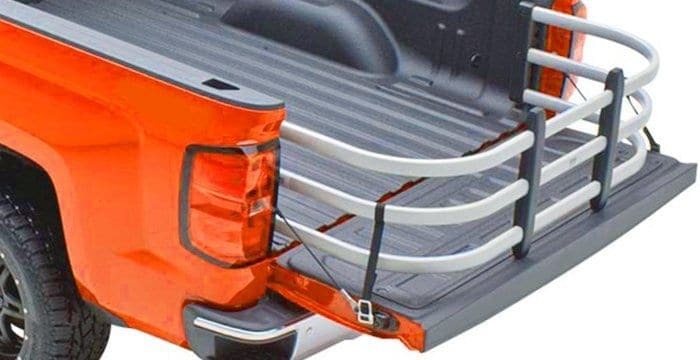 Foldable: Truck bed extenders are not fixated. They can be flipped upward and folded back into the bed area when not in use. Similarly, you can fold them back outward when loading goods. These cage like accessories are easy to use. Once they’re professionally installed and hooked into place at the edge of the bed, all you need to do is lower the tailgate and flip and the truck bed extender toward you to get extra feet of storage space. These are some of the best truck bed extenders on the market in terms of durability, load capacity, safety, popularity, specifications, and functions. Find the one that’s compatible with your truck and one which can handle the amount and type of load you want to carry. Just came across this web page. What is the longest adjustable length of Lund Truck Bed Extender? I have 7ft of bedroom with tailgate down. I need to support 14ft kayak. what is thickness of the tubular steel?